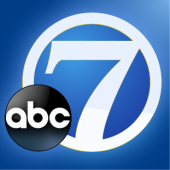 ABC 7 Denver had the most liked content! I think it's gross. It doesn't match any look or feel in Denver. We aren't that industrial. It feels sparse and small market. I can see that they recycled a lot of the monitors. This isn't isn't going to wear well. I give them a 4/10 for effort, but the branding has gone down the toilet. The Fox Box is dated and doesn't have any cache is Denver. Joan Barrett needs to go. She's bringing Wichita values to Denver. They don't mesh. I'm not saying that the WOIO style isn't miles beyond in terms of detail, but some of the elements are reflective of the KSBY package. Matt Quinn did an awesome job! Noted affiliate and radio voice actor Chris Corely has passed away. No details yet, but this is a sad blow to our community. Updates will come as soon as I get them. Mac VS PC in newsrooms? ABC 7 Denver replied to kmetz's topic in Engineering Dept. Scripps does. For that and iPhones. That is exactly what KMGH uses daily.